The Golden Bear Foundation has general liability insurance coverage that covers its officers and GBF-sponsored events. Each Parent Support Group (PSG) under the foundation is expected to obtain its own liability insurance. Many insurance brokers offer "booster club" insurance policies designed to address the unique needs of this type of organization. AIM Insurance Guide -- A 26-page guide from Association Insurance Management (AIM) covering Parent Teacher group insurance policies. 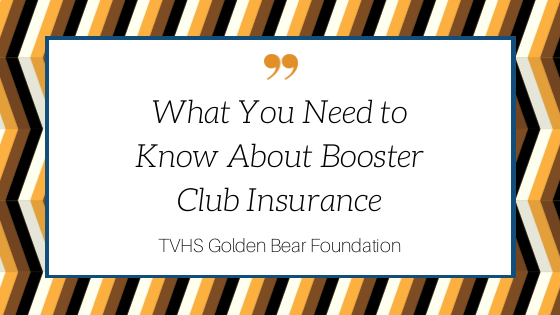 Safety Guide for Booster Clubs / PTOs -- Another helpful resource to help you in planning your insurance needs. Application for Insurance -- California State PTO, Booster Clubs, and Foundations Application for Insurance Form via AIM Insurance.